Social media is an essential platform for small businesses looking to generate leads, directly connect with target audience, garner media mileage and build a solid brand. Quite expectedly, most small businesses ensure professional social media page designs and a fool proof social media marketing strategy to get—and hold—the attention of their target audience. However, in the ever-changing social media community, it is important for small businesses to get well acquainted to a few vital tools to do more work in less amount of time. 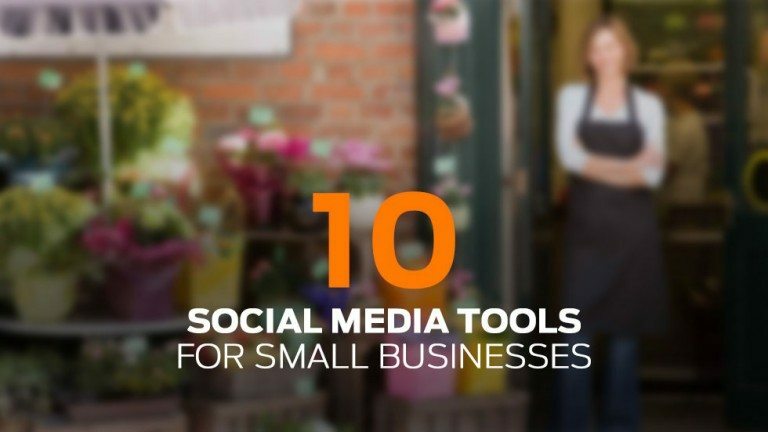 Here, we present to you 10 amazing social media tools to help you untie the complex knots of success on the social media landscape. Agora Pulse is an effective tool to manage all social media tool messages under one roof. This tool also allows you to effectively launch custom contest and promotions and analyse your social media performance by detailed reports. You have built a strong presence for your small business on the social media but what do your followers think of your brand? Well, it’s too difficult to continuously monitor social networking sites for mentions and activity. This is where Brand24 comes into play. It offers dazzling insights on your mentions, activity, followers and more. On the constantly evolving social media landscape, you need to stay abreast to win the rat race. Personapp puts you in touch with your existing and potential consumers. It allows you to collaborate with your community and clients. But what makes it so special is the fact that it’s absolutely free.In addition, social media tool also helps you analyse for your company. Sendible is a brilliant social media tool that can help you post or schedule content to all social media accounts, blogs and mailing lists, at the same time. In addition, it is also highly compatible with mobile devices making it easy for you to manage your company’s social media accounts on the go.In addition, social media tool also helps you analyse for your company. Everypost is yet another brilliant tool that helps you manage, update and publish your social media content on all social networking sites at one go. everypost social media tool allows you to curate content from reliable sources and modify it according to your requirements. In addition, you can publish your curated and modified content within no time. Mass Planner is a fairly simple social media tool to schedule your content to all the popular networks, including: Facebook, Google+, Pinterest, Twitter and LinkedIn. In addition, this tool helps you get an insight on which of your content is like by your target audience. In addition, this tool allows you to send tweets to a specific set of followers on Twitter. Quite true to its name, HowSociable helps you understand how effective or social is your small business on social media. It gives you a clear and concise report of your company’s performance on the social networking sites. In addition, social media tool also helps you analyse for your company. One thing that affects the visual appeal of your social media page design is image. Therefore, it makes sense to use images that showcase your services or products and convey your brand’s personality. But how do you get that perfectly sized image? Well, use easy-to-use Autre Planete tool! It’s a social media image resizing tool that helps you create separate images for all your social media channels at once. With so many media pages out there, it’s no longer enough that you have an online presence. You need to stay abreast with what is currently trending and why it’s so! This where Topsy comes to your rescue! It is a brilliant social media tool that helps you curate and analyse your social media content to hold the attention of your target audience and hold it long enough until they’ve fallen in love with your brand. Unarguably the best from the lot, Hootsuite makes it easy to manage all your social media accounts from one integrated dashboard. In addition, it helps you track the status of social media campaign on different social media platforms. No wonder, it’s the world’s most widely used social media tool. What’s your favourite tool in this list? Let us know in the comments below.